A highlight of the Art Museum’s exhibition program, the 42nd Annual Juried University of Wyoming Student Exhibition presents the artwork selected from the more than 180 students who submitted work this year. Open to any student currently enrolled at UW, including those in-state students in the Outreach School, the exhibition was juried by gallerist Catharine Clark of Catharine Clark Gallery, San Francisco. Works not selected for the museum exhibition will be presented in the Salon de Refuse, organized by the Student Art League and exhibited in the Visual Arts Building. 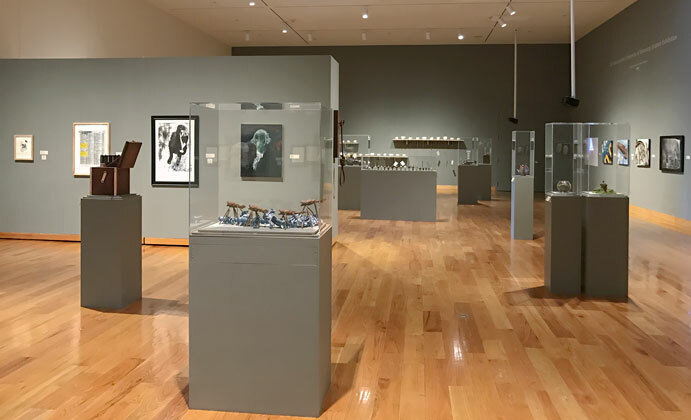 The student exhibition provides a professional development opportunity for students in any discipline and in any college or program at any grade level to present their work in a museum setting. Cash and purchase awards will be announced during the opening reception.